The band started in 1993 with Samuel and Kevin. It was originally called "Horrific Illusion". In the begining, the band where playing covers of bands like Metallica, Slayer, Megadeth, Sepultura... Two years later "Horrific Illusion write their first compositions. In december 1996 the band give a first show but we where not enough prepared. Since this, we have decided to work harder. Time was come to make change in the band. We've ask to Richard Gélinas and Alexandre Noel to join the band and they have accepted. 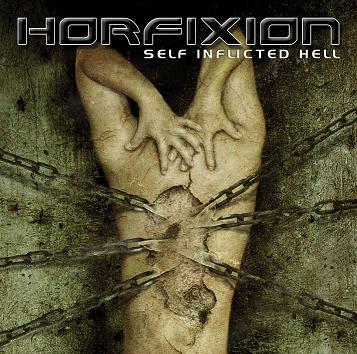 We have also change our name for HORFIXION and started as a new bands. 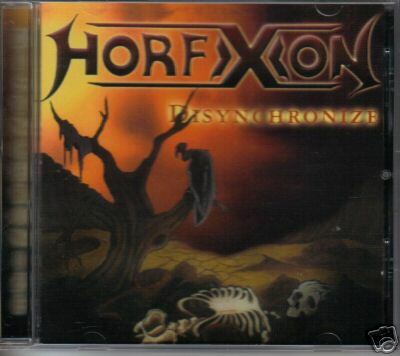 In october 1998 we have give our fisrt show as HORFIXION and the reaction was good. This has encourage us to continue as far a we can. 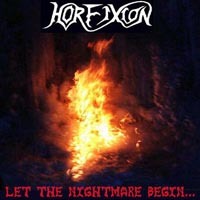 During the holiday of Xmas 1999, Horfixion have recorded a first demo (Let The Nightmare Begin…). In the months that follows, the band give severals show. After a year, Richard have leave the band for personnals reasons. We have find a new bassist : Erik Doucet. 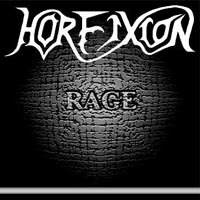 After a short period of adaptation, Horfixion have recorded a 4 songs mini cd title « Rage ». We have done a lot of promotion with our MCD, we've send it to metal radios, magazines and all metal related peoples. Reviews of the MCD are good and we get a lot of airplay in many radio show. 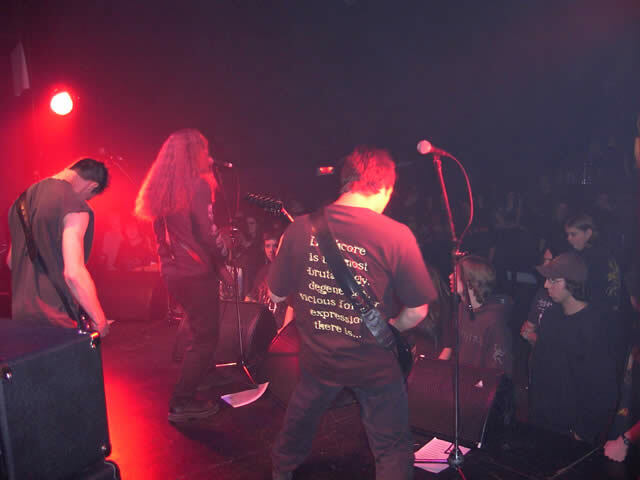 In early 2000, Eric left the band and Richard come back with Horfixion. At the end of the year 2000. The band have recorded a first album « Disynchronize ». We've also done our first T-Shirt and Long Sleeve. The new web-site www.horfixion.com is also created. In the begining of 2002, Kevin leave the band and he was remplaced by Simon Auger. An excellent thing for Horfixion because he's a lead guitarist. A pre-production have been recorded at the end of March. Alexandre is forced to quit due to healt problem. In july, Horfixion enter the studio to record their second album title « Instigators of Chaos » with special guest Patrice Hamelin (Martyr) on drums. T-Shirt, long-sleeve, cap, poster, sticker an pins have been produced to support the album. 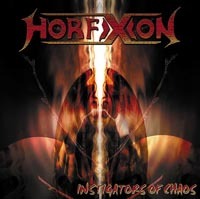 In 2002-2003 Horfixion are promoting their second album Instigators of Chaos. Kevin St-Yves (original member) is back in the band. In the beginning of 2004, the band begins to write new songs for rhe third album (still untitled). It will be recorded in July by Yannick St-Amant. Galy Records will distribute and promote our album (www.galyrecords.com).